WHILE you're packing up the Christmas decorations and fulfilling your New Year's resolutions, get ready. 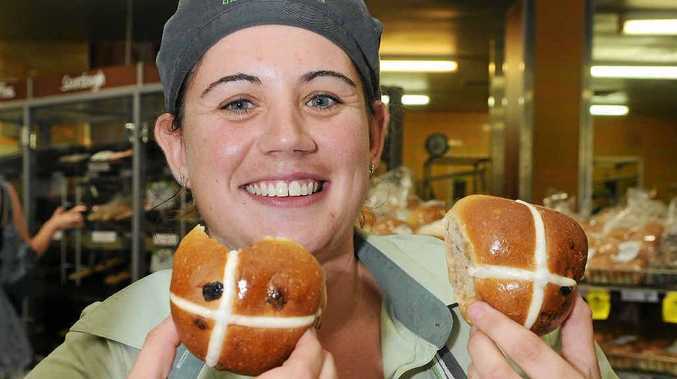 Hot Cross Buns will hit supermarket shelves today. Woolworths Caneland Central bakery staff will start baking their buns at 3am and they'll be on the shelf when the store opens. Store manager Michael Goring is fascinated every year at people's passionate response to when Easter buns should go on sale. "There are very mixed reactions on Facebook, but in the four years I've been here, I've never had any negative feedback," Mr Goring said. Is it too early for shops to be celebrating Easter? Let us know what you think in the comments below. While some customers say it's definitely too early, most seem to feel it's up to the individual to decide if they want to buy. "A small percentage of customers, only buy them at certain times of the year. 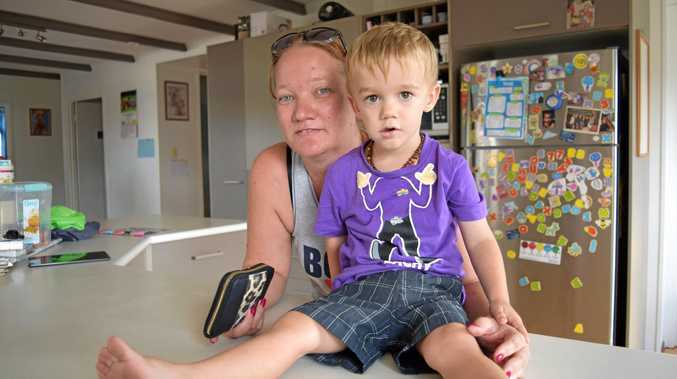 In an average week leading up to Easter we can sell three to four hundred packets a week," he said. Traditional Hot Cross Buns now come in all shapes and sizes, including mini-size, fruitless, chocolate with choc chips and large. "There nice to have for morning tea with butter. I'll definitely be trying one today," Mr Goring said. "It's an impulse buy. The choc-chip one is really popular. We will have a small range of Easter Eggs arriving at the end of next week. People love chocolate eggs, especially the creme-filled ones," Mr Goring said.